The Ragged Priest sweater. The Ragged Priest top. Joe's Jeans pants (similar). Boda Skins moto. 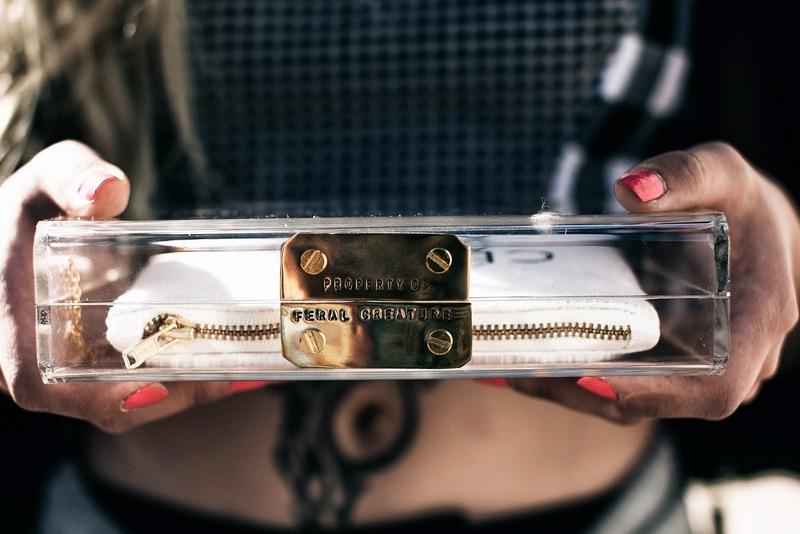 MNO.logie clutch. Shellys London shoes. Hillbilly? 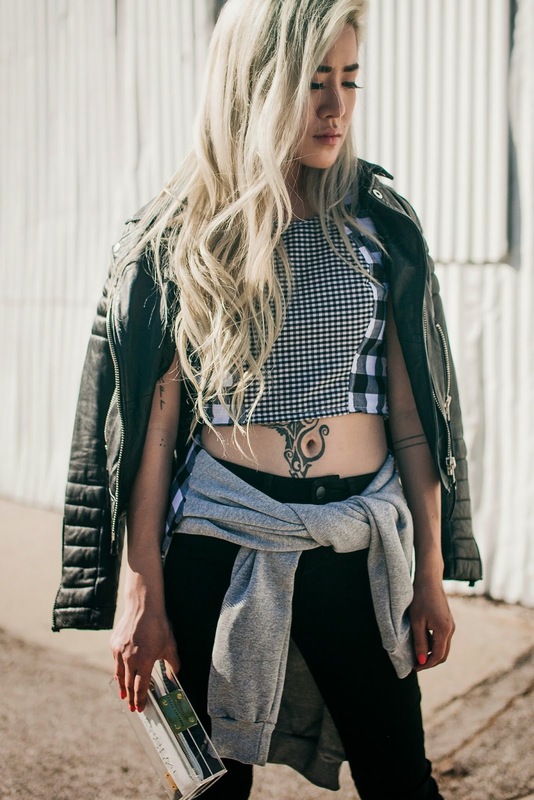 Grunge-inspired street style? Chic picnic table? You decide. 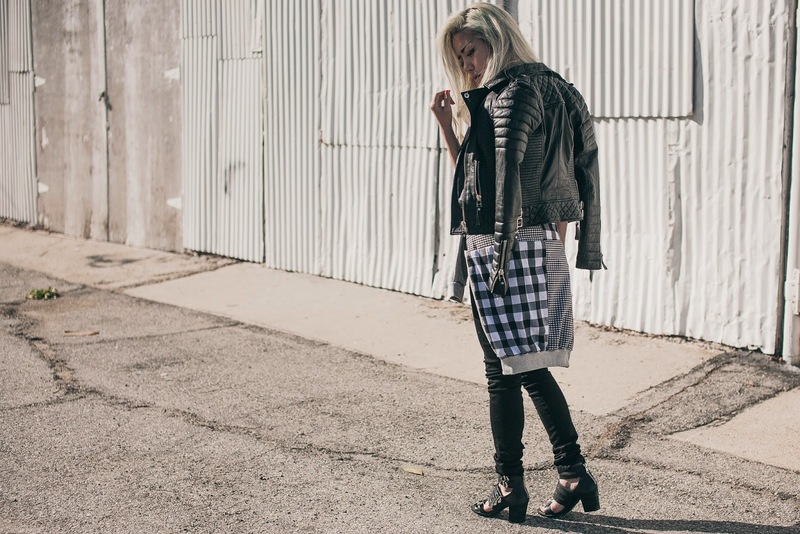 No matter the outcome, nothing changes the fact that The Ragged Priest skillfully combines monochrome plaid and gingham prints into super wearable staple pieces. You know I love matching top and bottom sets, but a matching sweater and crop top set? I was beside myself with excitement to explore styling possibilities. 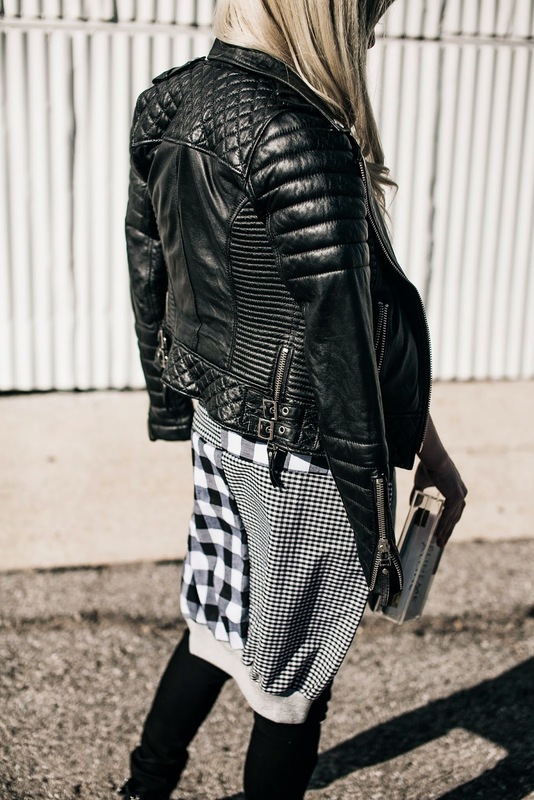 I kept it simple and went the moto + my favorite Shellys London buckled heels route this time. 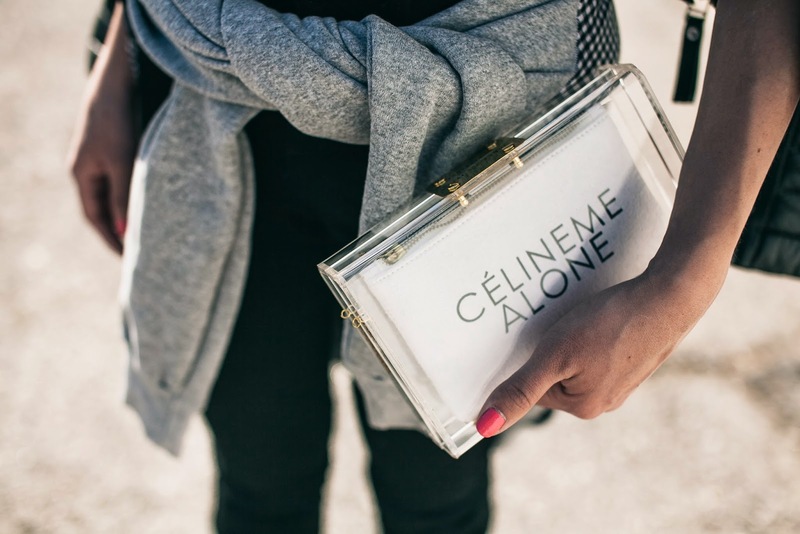 And can we stop and appreciate the ingenuity of this customized lucite clutch?